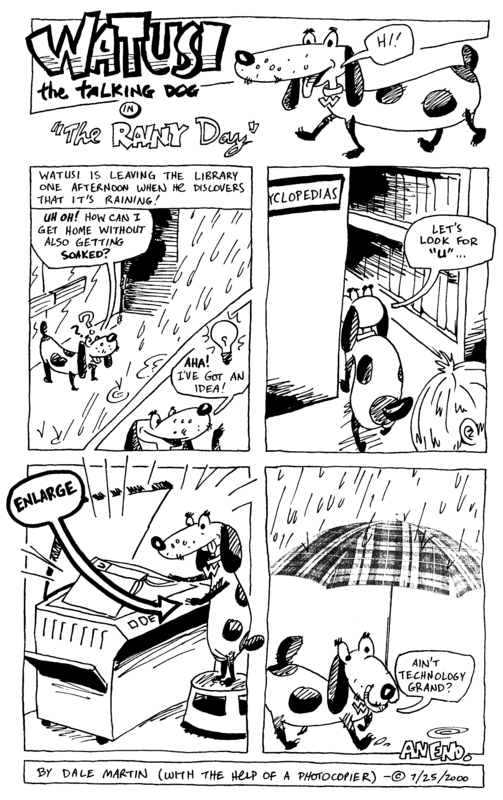 Hot off the press: Watusi #29! 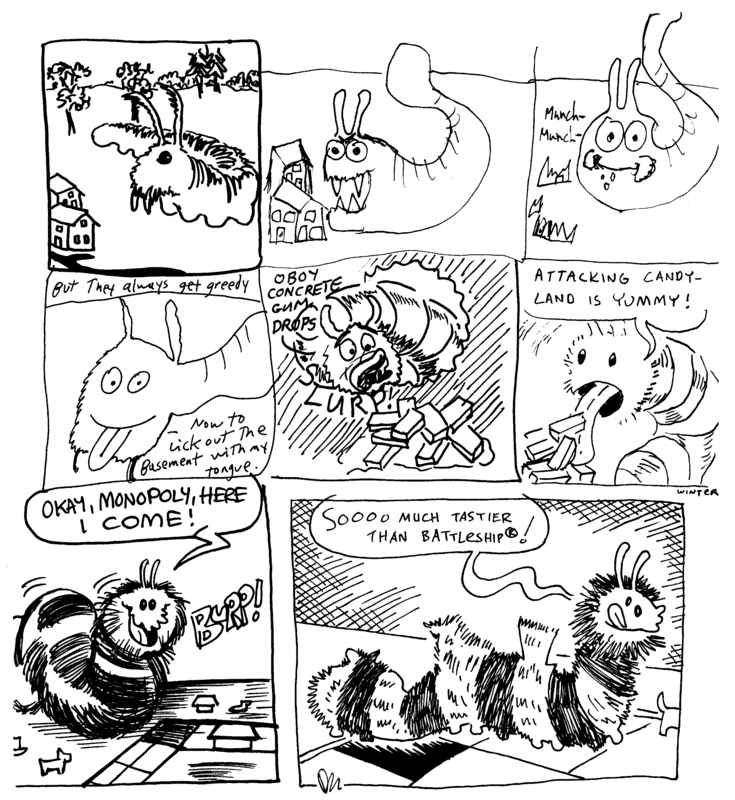 It’s an old-school collection of Watusi jam comics as Dale (finally) works through some of the strips that backlogged in his studio over the last few years. The issue showcases the talents of Joel Pfannenstiel, Ivan Martin, Brian Payne, Mark Morehouse, Drew Boynton, Owen Egan, T. Avery, Aaron T., Brien Wayne Powell, Tom Cherry, Larned Justin, Keith O’Brien, and Mike Leuszler in a variety of improvised one-page comics. 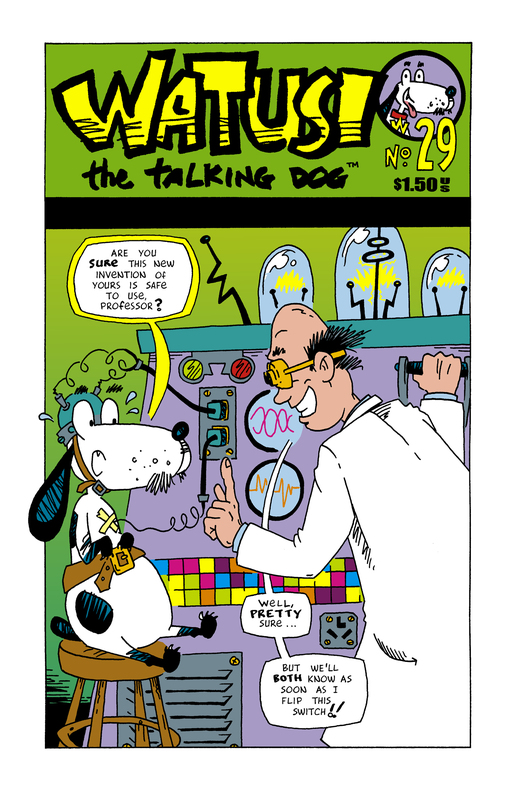 16-page black & white digest w/full-color cover for $1.50. While jam comics are fun to help create, they don’t usually hold together as logical stories. Case in point, 20 From 920, a collection of jam comics produced at SPACE 2005. Contributors include Aaron, Tom Cherry, Gynn Silva, Rick Silva, Michael Munshaw, Drew Boynton, Larned Justin, Brien Wayne Powell, Adrienne Westmoreland, Ian Shires, JB Winter, George McVey, Matt Feazell, Chris Garrett, Mike Leuszler, and me. I was reminded of this book recently while I was cleaning my studio and pondering what to do with some of my back issue stock. Over the years I’ve created a number of comics, many of which have little or no connection with my current work. I find it difficult to talk up old items that don’t fit in with the new work I’m excited about, especially in the limited time available at conventions or other events. Still, they’re often– like 20 from 920— fun little comics … so I think I’ll make this available as a downloadable .pdf e-book. Hope you enjoy!